The people from NCIS can rest easily knowing they have 20 million people watching their show every week. 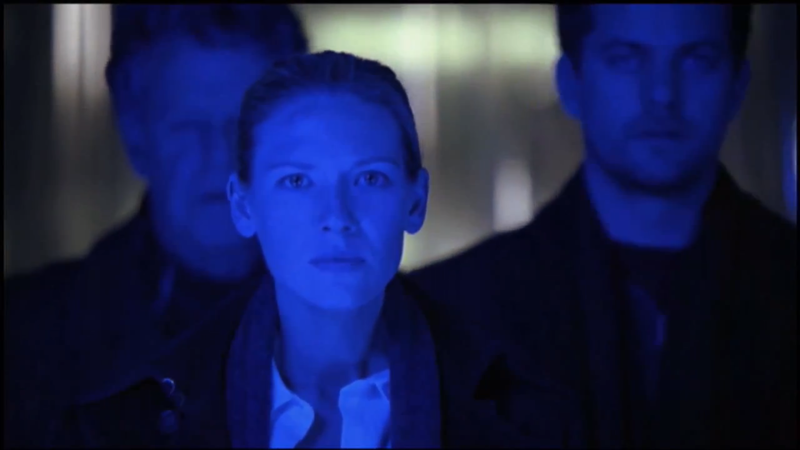 Of course, none of those 20 million are as dedicated or fervent as the handful of people who watch Fringe weekly. It’s a little big show that could, debuting with decent ratings and a great pedigree, followed by a precipitous drop in ratings, but monumental climb in quality. After letting their science fiction flag fly, they have found a core group of followers who not only love the show itself, but love the characters, flaws and all. On Sunday, they held their last Comic-Con panel in Hall H, a huge, 6000+ room that was packed to capacity. The new season hasn’t started filming yet, but the cast got together to shoot a few scenes for their teaser for the final season, as seen below. In less than 24 hours, it has received more than 100,000 views. There’s that rabid fan base I was telling you about. The final season will pick up exactly where they left off in season 4, episode 19, in 2036. Everyone will be back, with the exception of Seth Gabriel’s Lincoln, who went to the alt-universe at the close of season 4. The producers say they know exactly where they are going and what the end game is. And for that, we will be waiting – anxiously, but not too anxiously – for the series finale. Much like Fringe’s Bad Robot-produced older sibling LOST, the audience has dwindled, but for those of us who have put in the time, the payoff will be worth it. Watch the new clip below and feel free to share it with your friends. Tell them they can get caught up this summer and be ready for season 5 before it begins.